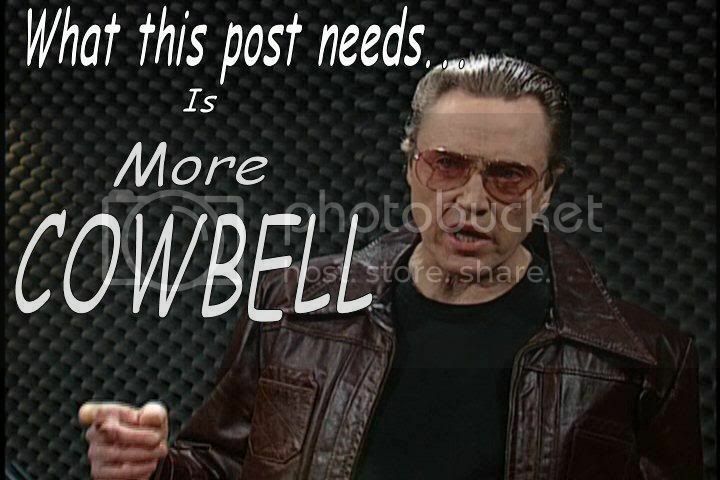 [ARCHIVED THREAD] - I need more cowbell!!! Don't fear the reaper, come on baby take my hand. Welcome to "see if I care"
That was a great skit. Is it hosted anywhere? had a cowbell and drumstick on it. under the cowbell was... "rock star"
One of my all time fav skits! The "cork soaker" skit has to be a close second. "Creasy's art is Death. He's about to paint his masterpiece."